Does your stomach get sick after you have gathered all those receipts from tax return season and you look at the amassed pile of spent cash via receipt piles? If you are like most, the worst gut-wrenching time of the year is not after the holiday bills come rolling into your mailbox rather it is right after your taxes have been filed. 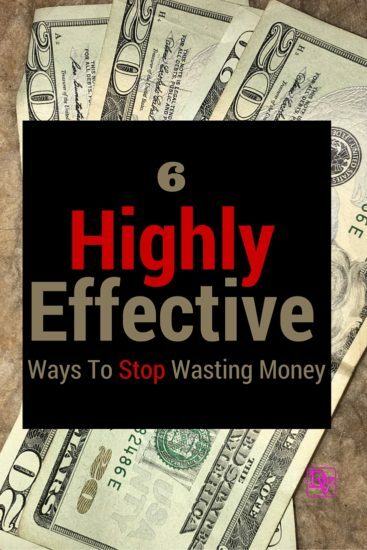 You need 6 Highly Effective Ways To Stop Wasting Money that many of are guilty of without even realizing how much it takes away from our living budgets. 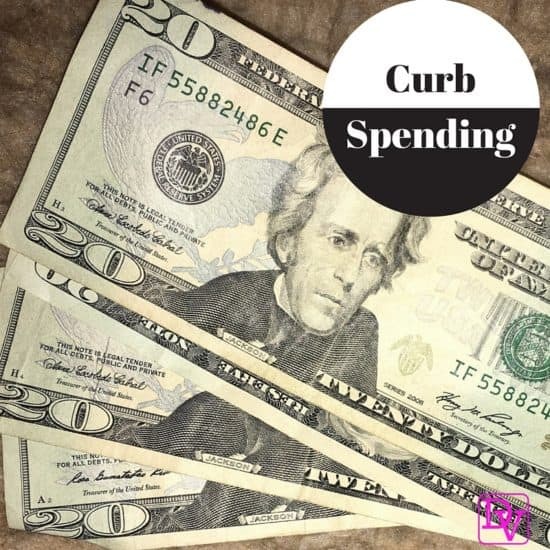 A controversy on both sides of the fence is that we spend because we need, but the reality check that can come dumping into your front door are recurrent bills, and features from products, websites and things you just don’t use and are wasting money on. Gym memberships to credit card perks there are so many ways we spend and waste money. Lavishly live life out loud and learn 6 highly effective ways to stop wasting money and transform cash spent to cash saved. Wasting money is just one of those things that happens, because the reality of it is that we really don’t set out to waste money, but in the end each of us are truly guilty of this common offense that kills our monthly and yearly budgets. Wasting money happens both unconsciously, and consciously, when we mistakenly believe we’re making solid financial choices. Stop negatively affecting your finances, and start saving on everything from energy to everyday shopping by changing your habits. Don’t use sites that offer amazing deals on products and experiences in your area, because this is just putting money out the door on things you don’t actually need. The problem happens when you head to a big site like a Groupon to buy a food coupon and then you begin stumbling upon other things: coulda, woulda, shoulda spending happens. STOP! You might log on to purchase a restaurant voucher, but encounter a too-good-to-be-true deal on Jet Ski rentals. Five minutes later, you’re the proud new owner of a heavily discounted day at the marina—but your wallet is now a lot less heavy than it was. If you are going to utilize these websites, only buy things you need, and don’t fall into the financial mistake of buying something you don’t need simply because it’s discounted. A great website for deals is one that allows you to capitalize on your purchases and earn as you spend, like a Ebates. Sites similar to this one allow you to shop online for WHAT you actually are looking for, and by heading to their site, you earn a percentage of the sale in addition use your Discover Card if you have one and make some more money back on each purchase. This is smart shopping and you are earning even if you have to spend. We were on a plane, coming home from one of our most spectacular vacations and while in the air the lovely, smiling flight attendants were making announcements about their credit card. We were so intrigued, we ALMOST bit, but we held back reading all the fine print, because remember there is no such thing as free trips, free miles, it all comes with a cost. In this case the cost was $89 a year, that could be recovered if we flew with their brand again, and used their credit card, but blackout dates of course applied, and so did that fee! Hold everything, because chances of us ever heading to the same destination were slim and none and the airlines was kind of limited as to where they flew. We got our fogged vacation brains off and put our financial heads on and did not apply. The credit card industry makes big money off of its users, and with the offer of great air mile benefits, cash back rewards, and other bonuses, it’s easy for credit companies to convince you to shell out fees each year in order to use their perk-laden offerings. Credit card companies make big money from interest and other fees in fact many of the companies don’t need that annual fee. Keep your head on when dealing with credit card companies because you truly could impact yourself negatively if you do this wrong. If your current card company charges a hefty price for use, it might be time to consider a switch. Don’t cancel right away, or you could totally harm your credit by negatively impacting your credit score. Shop around, see what options are out there and then make a decision. Do you have a 401(k) offered at your company? Does your employer offer full or partial matching? If your employer has a matching program, you simply must take advantage of this offer. While you might not see the money now, or even five years from now, you’ll want it later on. Make a dollar and earn an additional dollar because the 401 (k) makes it possible, so let your money work to make more money. Trust me, if you talk to your friends, you won’t believe how many have not set aside money for their 401 (k) matching programs and they are losing money. In essence, by not using a company’s matching program, you are basically throwing away hundreds or thousands of dollars every single year and that is a budget killing tragedy for your later-in-life years! Are you a smoker? A happy hour junkie, or are you a takeout food vixen? These little vices all are the problem in your end of month, end of year budget. Guess where you money is going and it is draining you financially. Stop the madness. Think of dieting when you think of your budget, you have to cut back, curb and change if you want better end results, so do the same thing with each vice: cut back, curb and change for better financial results. We all have our vices, but it’s often those vices that can waste us the most money. As far as smoking goes, quit today. I know you are rolling your eyes at me, but it is a deadly habit both for your financials and your health. If quitting is out of the question, let’s fix your vice with an alternative, such as electronic cigarettes from NJOY. While this may not be the best alternative out there, if you can’t stop, this at least has no tobacco, requires less purchases, saving your lungs and your money. The Happy Hour Junkie needs to stick to one drink, and swap one out with a non-alcoholic beverage and stop spending money on food while you are there, curbing your habit just a bit. You will save money because you are drinking less, staying aware and not being buzzed which allows you to THINK about your spending. To the Takeout Vixen, get a grasp on what you are spending daily, head to the grocery store and use the total amount purchased to buy a week’s worth of lunch groceries and save the extra money for your savings. Prepare your food in bulk ahead of time, or if you really must… buy prepared foods at the grocery store, rather than heading to restaurants and you will still be saving money, and positively impact your financial stability. These simple changes help you cut back, curb and change what you are doing with your spending and you will be rewarded in with a bolstered bank account and better health—two things we can all can get behind. Treat your finances like your health and do the right thing. Buying brand names extends far beyond designer purses and couture sunglasses. Common purchases that we make even happen at the grocery store. Next time you head to the grocery store, find your favorite cereal then peruse the shelves for a “knockoff” off-brand version. 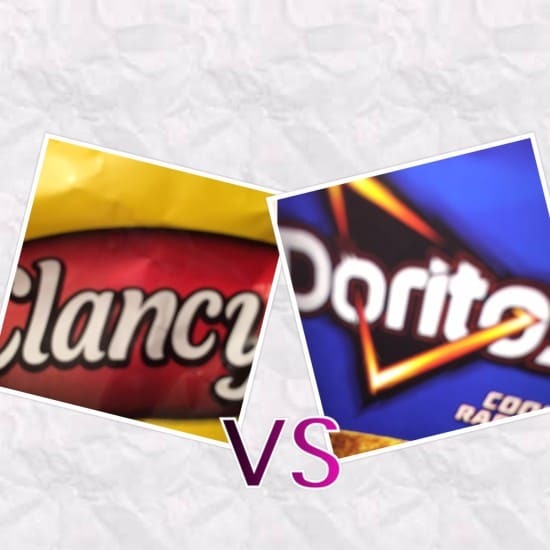 More often than not, the store brand options are much cheaper and virtually indistinguishable from famous brand counterparts. Still not a believer in what I am preaching? How about this: Consider using a professional at least one year to find out the different deductions you might have previously overlooked. You’ll simply be amazed at how much you might qualify to get back. A one time investment might yield you the tax education you have been missing, rather than filing on your own and missing what you could have saved on! Unfortunately, it’s easy to waste money, and even easier to remain ignorant of the habits that lead you to do so. Reflect on ways you might be throwing away your hard-earned dollars and use these 6 highly effective ways to stop wasting money, so that you can keep your bank accont growing and your lifestyle ever-balanced. Spend less, reap more and be happy. Remember, lavishly living happens when you make your life a bit more stress free and you can be a highly effective person when you have your game plan set!